Spring 2016 April 8- April 10….Rain or Shine, the Arts are on! 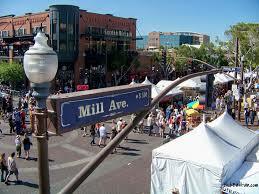 Twice a year downtown Tempe, Arizona, hosts the Festival of the Arts. A free gathering to the public, where talented artists, both local and from afar, travel to show off their masterpieces and offerings. Tempe’s Art Festival ranks as one of the top 100 classic & contemporary craft shows in the nation. So it’s good stuff, and why it is mentioned here today. There are more than 400 booths, displaying quality, independent art work. The success of the festival is because of these artisans and the process in choosing artists that display their work. Not only do visitors enjoy the artists and visual creations, but the festival offers a variety of other fun activities. Face painting for kids…and adults :), performances, live entertainment, food and drink vendors, exhibitors, and a favorite the Arizona Wine Tasting and Art of Beer, where you can sample and purchase local creations. Today is the last day to head out and experience the festival….until this winter in December, when it comes to life again. A group of us will be heading out shortly to enjoy the overcast, sporadic raindrops, beautiful weather, art festival. To follow will be the update on our experience, the tastings, and the purchases. Again, the Tempe Arts Festival a free, artistic festival that happens twice a year, Spring (April) and Winter (December). It’s great for anyone that enjoys being outdoors and appreciates talented artists, food and beverage. It’s a great time to find cool, unique art masterpieces and support independent artists. Phoenix, the capital of Arizona is an excellent place to visit, but if you don’t get that opportunity, then take a virtual tour here with us. Phoenix is a wonderful city has a lot to offer guests in the form of entertainment, dinning, and more. During this tour we will take you through some popular places, and things to do while in Phoenix, and give you the feel of actually hanging out there. Phoenix offers great transportation throughout the city, with its light rail system, taxis, and popular uber drivers, but for this virtual tour lets have a little fun, and imagine we get the opportunity to tour the city inside Phoenix’s most popular limo service. If you’re ever in the city we highly suggest touring the city in a limo, its amazing, which is why we ask you get creative and use your imagination for this tour. If you are tentatively planning on traveling to Arizona, than I would not overlook the beautiful city of Tempe. If you are unable to get a chance to check out Tempe, then we will insure you, and give you an opportunity to check it out here. Whether your an Arizona local, or live out of state, you have probably heard of Scottsdale Arizona. Prized for its great weather, world class shopping and dining, and premiere golf courses and seasonal events. 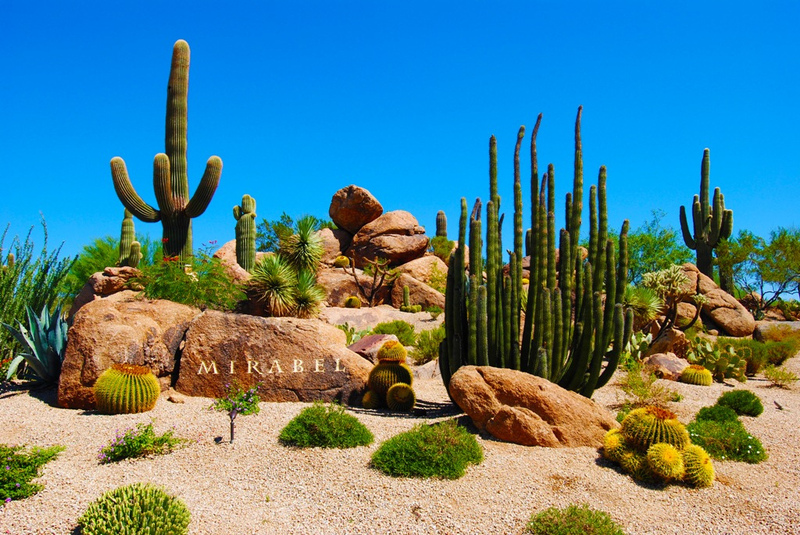 Scottsdale Arizona is a hub of activity year round with all its events, and comes alive every winter when the snowbirds return to Scottsdale to get away from the cold of the east coast. We are covering Scottsdale today because of its unique ability to accommodate all ages. Regardless if your retired, a new parent, or a young adult, Scottsdale will have something for you. With a variety of seasonal events for every age group, and a range of shopping and dinning options, there is something for everyone. Whether you’re a sports fan, an outdoor explorer, or someone who likes the night life, Scottsdale can accommodate you. Arizona’s warm climate and desert landscape offers residents and visitors some beautiful scenery. Whether experiencing the beautiful views from South Mountain, the grandness of the Grand Canyon, or the rock formations at Glen Canyon. However there is nothing in Arizona quite like the red rocks of Sedona. Tucked away in northern Arizona near Flagstaff in-between stunning red rocks and vortexes (energy fields) is a world all of its own. Known for its pristine nature and gorgeous outdoor activities, Sedona is a hub of activity and fun. Adventurers from around the world come to check out its unique geologial formations, captivating red rocks, and excellent hiking and biking trails. 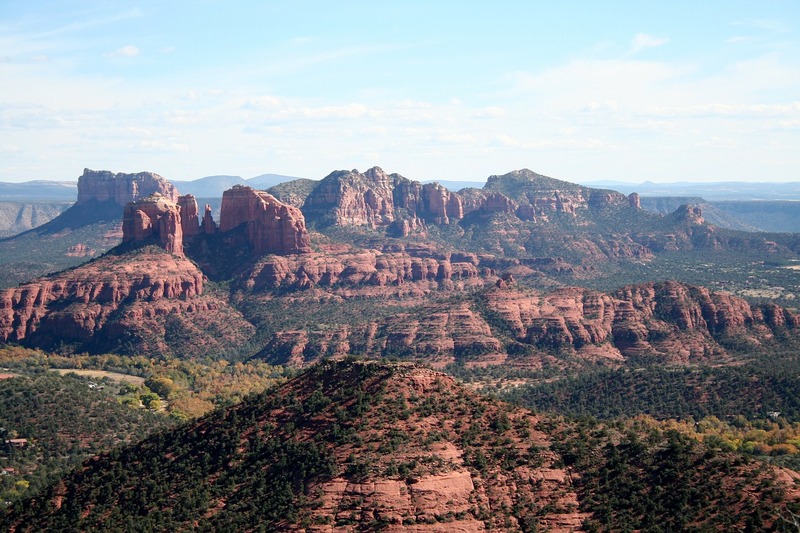 Additionally, Sedona hosts a rare and unique New Age community who are drawn to the beautiful town for its beauty, but also its unique energetic properties. Sedona has numerous vortexes throughout the city that are believed to promote heightened states of consciousness, and contain unique metaphysical properties. 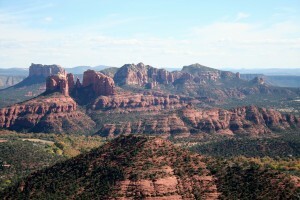 For this reason, many flock to, and are drawn to the unique metaphysical community and feel that Sedona has.